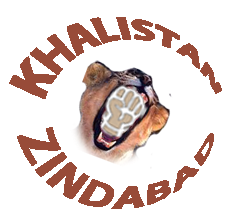 I wonder how many Khaliblog readers were aware of a huge Khalistan Rally in Jagraon, Punjab on 28 September of this year? Approximately 2 lakh (2,00,000) attended and it was broadcast on ChardiKala TV. 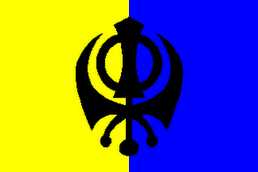 The ChardiKala TV coverage is available on Youtube through SikhRevolution. The whole playlist can be found at Khalistan Rally at Jagraon-September 28, 2010. I strongly urge you to go to the link and watch the rally. It's in Punjabi language, but even if you don't understand Punjabi very well (or at all), it's still uplifting and inspiring to watch. Unfortunately, due to some people misusing some of SikhRevolutions videos, I cannot embed them here, so I would strongly urge you to go watch them in Youtube. While you are there, you might also like to subscribe to SikhRevolution at their channel page. Just click to go there. An interesting note. 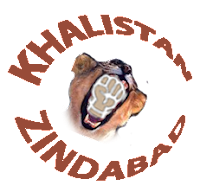 When originally the three of us started this blog, we were told that no one from India (OK) would want to read something with Khalistan in its title because no one in India (OK) is interested in Khalistan anymore. I notice, looking at the sidebar, that we have had more readers in that country than in any other. I realise that a few of these readers are GOI agents, but most are not. I would like to personally thank those of you who have been loyal readers over these last almost four years. Our first rather tentative post was on 26 January 2007 and now we are nearing 500 posts. We were all newbies and didn't understand about search engines and search terms and the like. We all reasoned that out of the millions of blogs in the blogosphere, no one would ever find our little personal effort. 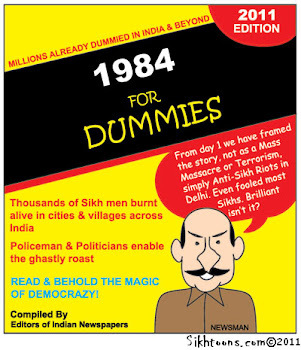 We were astounded to discover that the word "Khalistan" seemed to draw readers. Along the way, the other two writers left to pursue other projects and follow different dreams, so now I am here writing alone whatever I feel like sharing with you. I am not sure what this blog has meant to anyone else; to me it is a child of my heart and mind and spirit. At present, at least, it is my legacy. I pray that the posts about what happened to us in 1984 will be read and encourage other survivors to record their experiences, as well. It is difficult, but worth the effort. This is our history and it can be told properly only by us, especially by those of us who lived it. I am also endeavouring to encourage the Sikh Quam to regain and remain in chardi kala as we move toward the day when the establishment of our homeland will be the Hukam of Vaheguru. Let us prepare ourselves and be ready for whatever happens, following in the footsteps of our physical and spiritual ancestors. Thanks. I'm just waiting to see it fly over Amritsar with a clean blue sky.